Promotional beanies are extremely popular in the promotional world. With a huge range of beanies to choose from, from knitted synthetic fibre models to woven wool beanies there’s something for every budget. With the right branding your beanies can become a fashion item with matching colours and custom branded style. 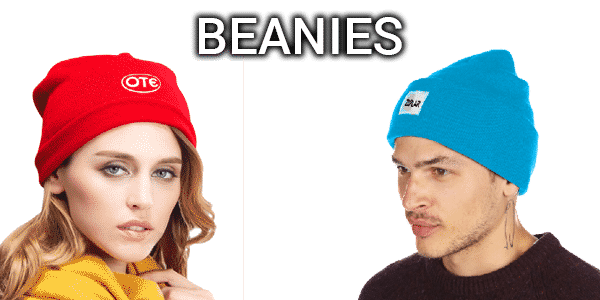 Hand out a beanie as a promotional gift, or as a good way to thank your customers, or just a freebie to your supporters, because these beanies are guaranteed to bring a return. Our extensive promotional bucket hat range has something to suit every need. Bucket hats offer greater protection from the sun and neck and are more comfortable to wear. 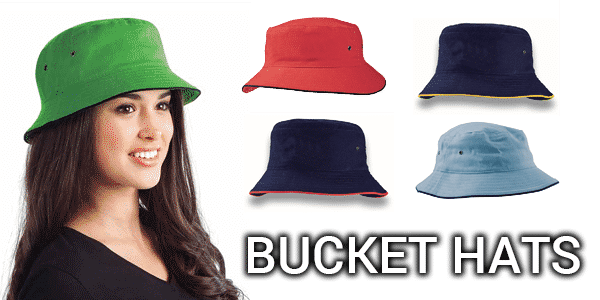 Available in a range of materials from cotton to acrylic a promo bucket hat with your logo is an effective way to promote your involvement in an outdoor event or local sports club sponsorship. 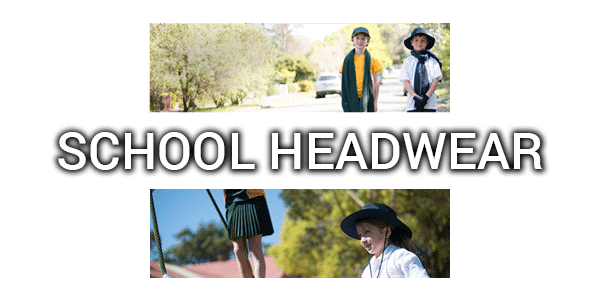 View our range of school headwear! From the classic wide brim school hat to bucket hats or sports caps we will be able to supply to suit your needs. Smart & tough – our range meets all the Australian standards for sun protection. We have a range of classic straw hat styles available. 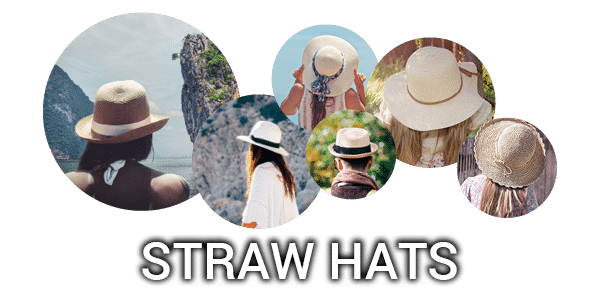 Made from renewable materials the straw hat range is cool and comfortable and will protect wearers. Most of the range comes with a contrasting coloured hat band which carries your branding. Straw hats are a lot of fun and a cheap way to make your brand known in the Aussie sun. Promotional truckers & caps are the best branding option for most businesses. Adding the right logo to your caps can create a sought after fashion item which the market will learn only your business can provide. We have a great range of colour combinations so personalising your caps is easy. Whatever your choose you can be sure the cap guarantees is long lasting, hard wearing and a much appreciated promo accessory.